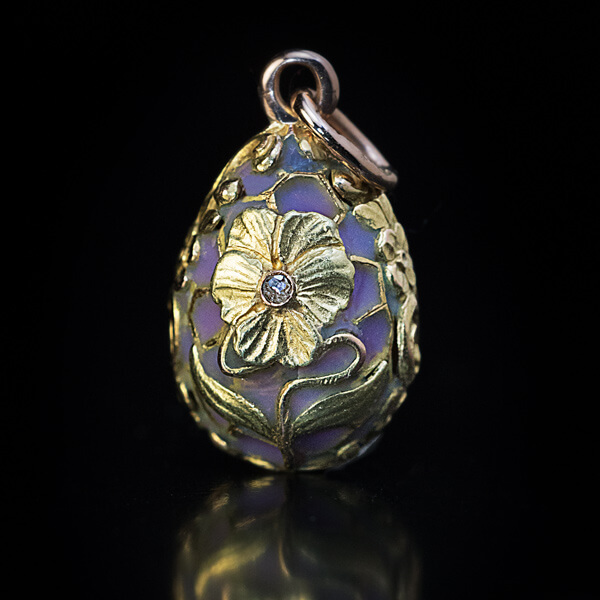 An ornate antique 14K gold egg pendant is embellished on one side with a chased gold Art Nouveau flower accented by a rose cut diamond. 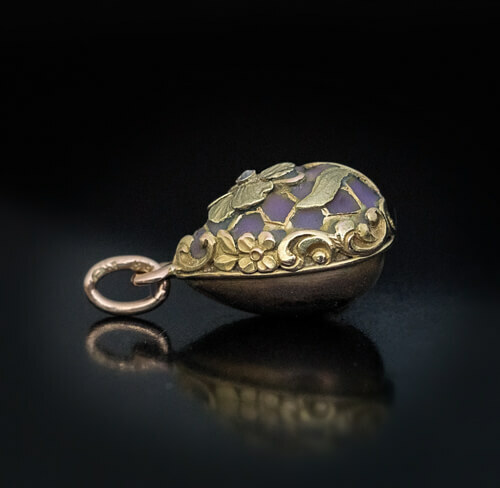 The flower is surrounded by pinkish purple opaque enamel and chased gold floral frame. 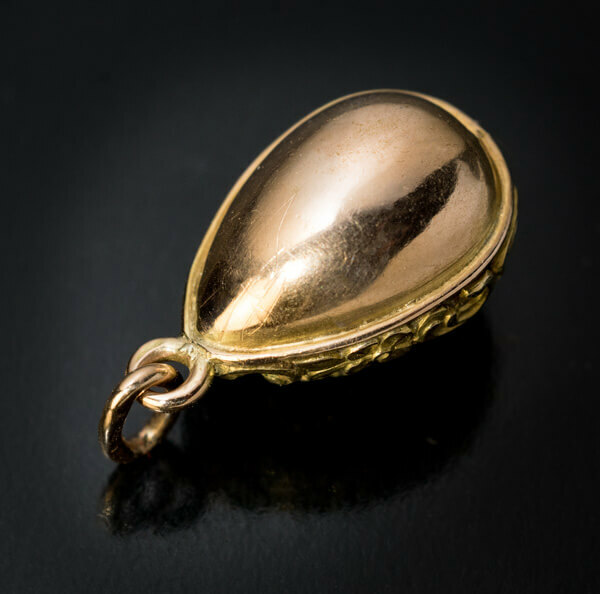 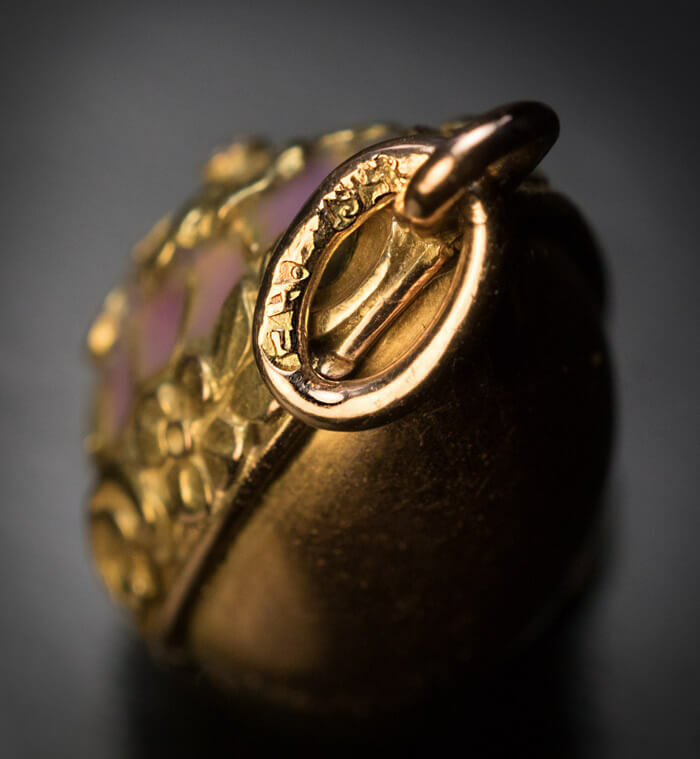 The egg is marked with 56 zolotnik old Russian gold standard and maker’s initials ‘EH’.